Ambassador Winston Thompson is senior advisor to BowerGroupAsia based in Suva, Fiji. Winston is a respected former senior public servant and diplomat with a long record of public service and private sector leadership in his country. In his role with BGA, he works closely with BGA colleagues to provide clients with invaluable perspectives, strategic advice and on-the-ground support as they pursue their business priorities in Fiji. Over the course of his career, Winston has developed a set of trusted relationships with the country’s leading government officials, business leaders, civil society, the media and the diplomatic corps. Winston concurrently serves as the pro-chancellor of the University of the South Pacific in Suva. He retired from Fiji’s Ministry of Foreign Affairs in 2015 after having served as ambassador to the United States since 2009. 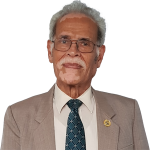 Winston’s government career began in 1962 when he joined Fiji’s Department of Agriculture as a junior officer. He rose swiftly through the ranks and became secretary for agriculture, fisheries and forests. He also served as secretary for finance from 1978 to 1983 and secretary for the Public Service Commission from 1983 to 1985. After serving in the top levels of the government, Winston was sent to New York City in 1985 to become Fiji’s representative to the United Nations. After six years at the UN, he returned home to serve as the secretary for tourism, civil aviation and energy for one year. From 1992 to 1994, Winston was the secretary for the public service. Winston left government service in 1994 to become chief executive of Telecom Fiji Ltd. During his 10-year tenure with the company he oversaw the modernization of Fiji’s telecommunication infrastructure. In 2009, he was nominated to become Fiji’s ambassador to the United States and served in that role until 2015. Winston was born in Nacula, Fiji. He is married with three children was educated in Fiji, New Zealand, Trinidad and Tobago and Australia.